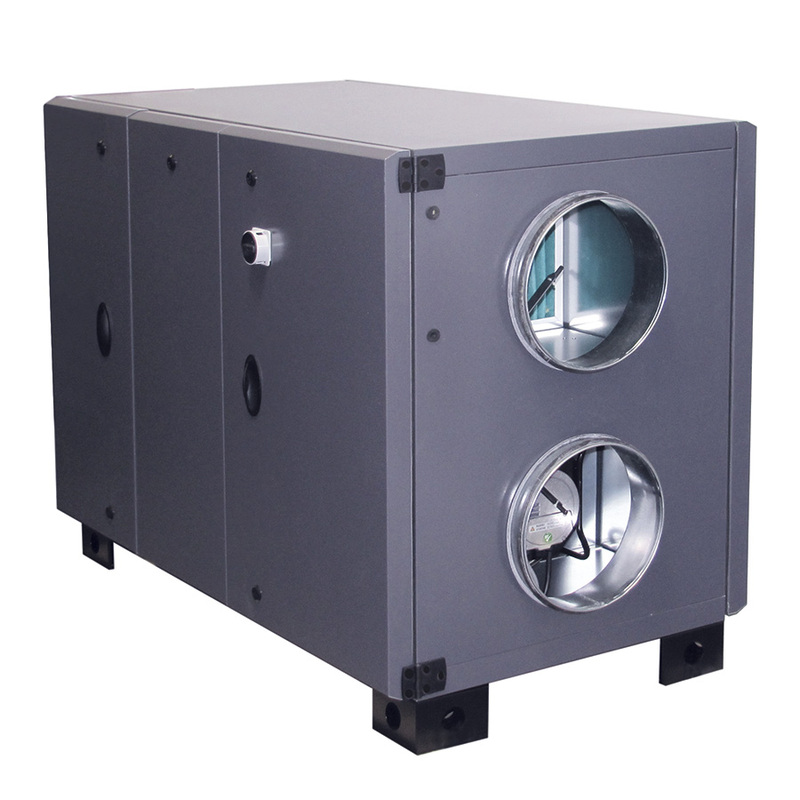 S&P heat recovery units offer a ventilation solutions for houses, business premises, offices, hotel industry or public buildings. Their high efficiency heat exchangers (up to 93%) allow big energetic saves, thanks to being designed to work with low consumption fans and to allow the use of the expulsion air to heat the incoming air in the house. To ensure maximum equipment performance and optimum air quality, S&P heat exchanger can be equipped with bypass and filters, both in air supply and in extraction, thus guaranteeing permanent renewal of clean air in the installations, while complying with the regulatory requirements. Moreover, thanks to our augmented reality application, ARVent, you could check which of our heat recovery units fit better in your room without the need of any installation. 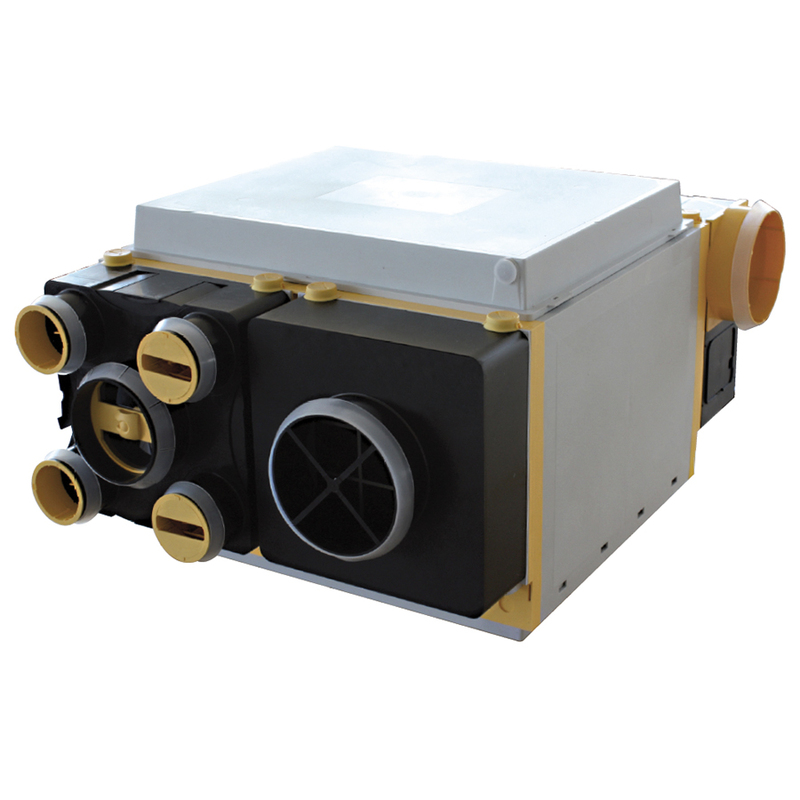 The high efficiency heat recovery units offer a high efficiency of up to 92%. Its low profile and light weight enabling them to be installed in false ceilings of multi-dwelling blocks. Designed to work with low consumption fans, their cabinets are made of galvanised sheet steel with 10mm thick polyurethane foam insulation, totally hermetic, rubber gaskets inlet and outlet circular duct connections, easy maintenance through access hatch, high-efficiency PVC counterflow-type heat exchanger, condensation drain and inlet and outlet filters (G2 grade)that can be changed without the use of tools. This model can also incorporate a motorisedand G4 filters, as an accessory. CADB/T HE PRO REG heat recovery units are equipped with a counter-flow heat exchanger certified by Eurovent. This units are designed for indoor installations in commercial premises, offices, restaurants, public buildings or schools. There are 3 product ranges according to the type of the operating control: VAV, CAV or COV. High-efficiency filtration modules supplied as accessory. 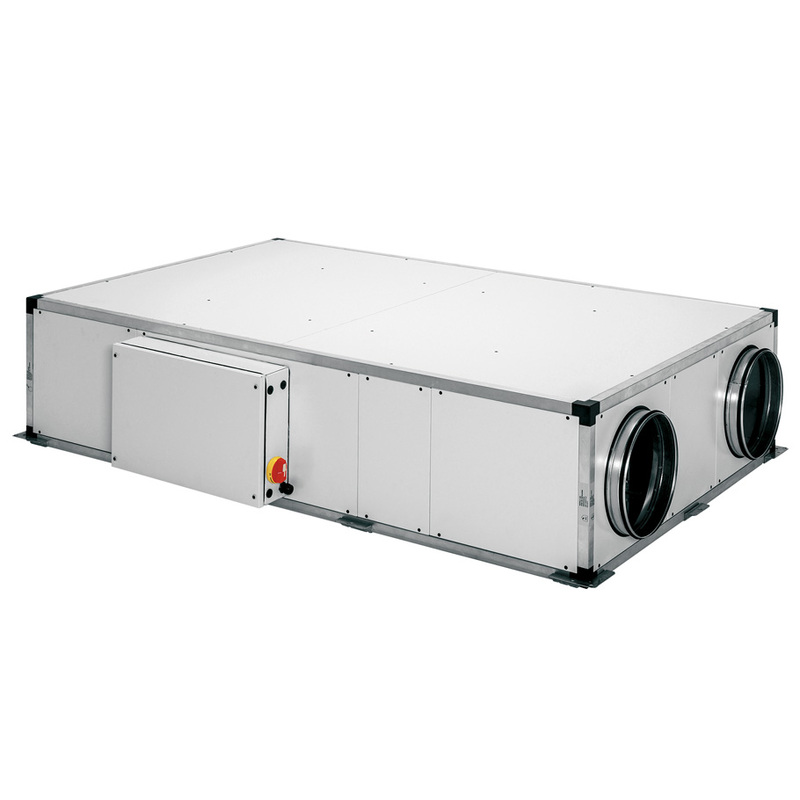 The range of heat recovery units RHE is a perfect ventilation solution for business permises, offices, hotel industry, public buildings or schools. This high efficiency unit with rotary wheel, provides an efficiency up to 88%, it is equipped with backward curved blades and EC external-rotor motor. Thanks to its hinged front doors it is easy to access to all components.